The new diner at High Street Phoenix, Mumbai, is the brainchild of the sister duo Vidhi and Nidhi Behl, with a focus on fresh, additive free food which is organic and locally produced. Chef Nidhi, self-taught in the formal rules of French cuisine, is as proud of her plating on slate platters as she is of her flavours. “We took the origins of Levant food, borrowed a little from the Africas and turned the cuisine on its head,” she says. Her forte is her Arab-inspired dishes and she is passionate about baking. Quirky touches add fun elements to dining, as the server lights a wick and informs us that we can eat the candle – a dip for the interesting assortment of breads served. 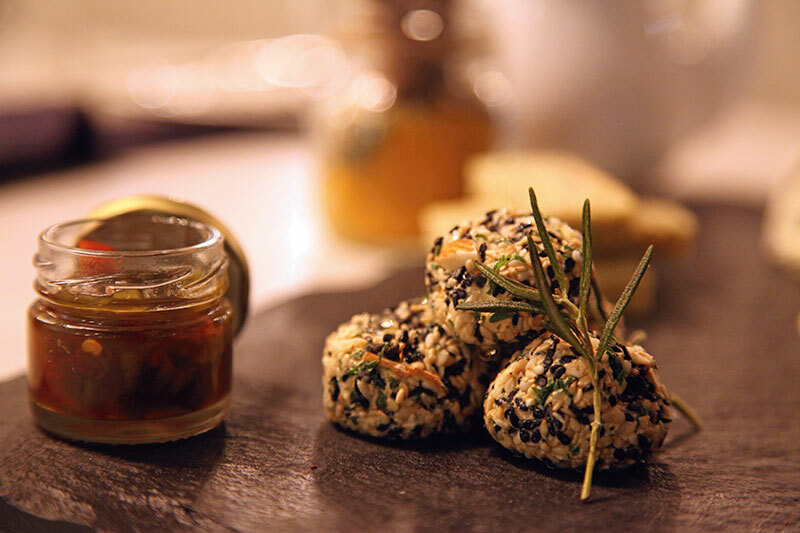 The home-made cheese platter accompanied with a scallion and mozzarella savoury cake and house-made jalapeño and cider vinegar jam and the mezze selection are a great place to start. For the carnivore there’s African Berber spiced tandoori chicken, peri peri rock corn with bacon dust, jalapeno oil prawns, whiskey and green harissa chicken with porcini mushroom dust, tahini and Turkish tarator hammour and organic baby lamb shawarma. The vegetarian may enjoy hay-smoked mushroom in an African biryani, a savoury mustard and sriracha ice cream that crowns a traditional Turkish eggplant dish, a fried jalapeño popper sandwich or Caponata salad. Desserts range from a traditional ganache cake to an unbirthday cake straight out of Alice in Wonderland, to celebrate the everyday. The cheesecake, however, is amazingly light and delicious. The interior has been imagined by architect Ajit Shilipi as a minimalistic Parisian space. The airy French windows have cleverly-placed greenery outside. A midnight black granite bar counter is inviting for those who want to hang out on barstools nursing their favourite tipple. What we liked: Home-made cheese platter with a scallion and mozzarella savoury cake and house-made jalapeño and cider vinegar jam, organic baby lamb shawarma, cheesecake. Décor: Imagined by architect Ajit Shilipi as a minimalistic Parisian space. 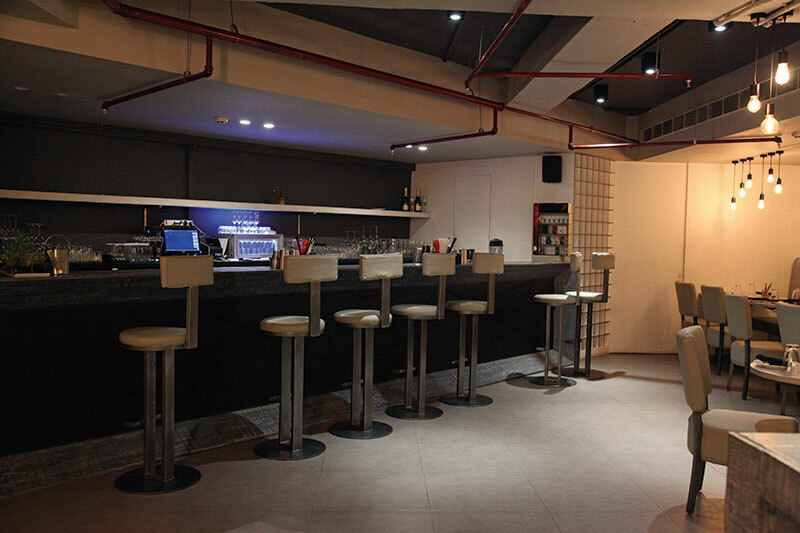 A midnight black granite bar counter is inviting for those who want to hang out with their favourite tipple. Cuisine: Quirky, whimsical, drawing from childhood memories, heavily influenced by frequent travels to Saudi Arabia, where the food at the palaces wafted of modern Arabian Nights.